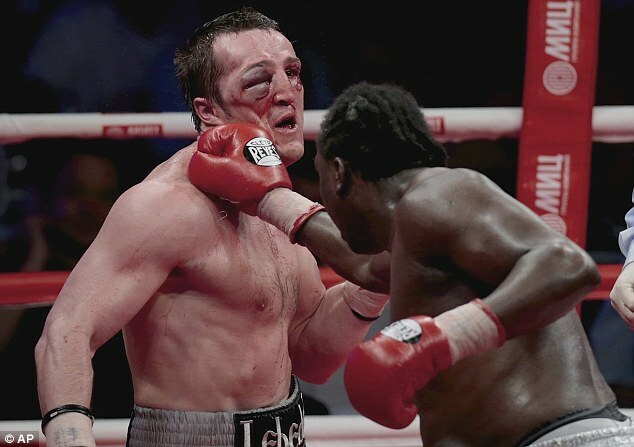 Denis Lebedev was left with a shocking eye injury after losing his WBA world cruiserweight title to Guillermo Jones on Friday night. 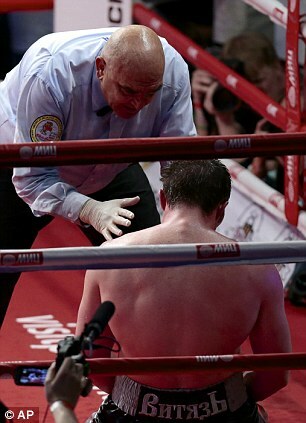 The Russian, fighting on home soil in Moscow, was eventually stopped towards the end of the 11th round having been ahead on all three judges' scorecards. 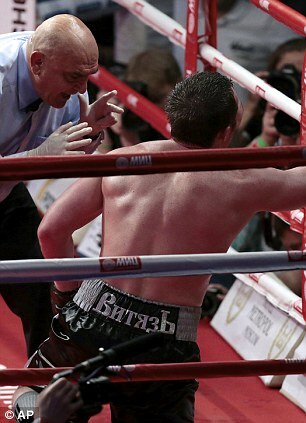 But questions will be asked as to whether Lebedev should have been pulled out having suffered a cut in the first round which worsened as the fight progressed. Jones, 41, first won the title in 2008 but was stripped of the belt last year after making just two defences in four years. Five other planned defences had been postponed and Lebedev, 33, was made the interim belt holder before later being upgraded. His cornerman last night was Kostya Tszyu - whose final fight as a professional was against Ricky Hatton in 2005 - but there was no sign of him being pulled out by his team or by referee Stanley Christodoulou. 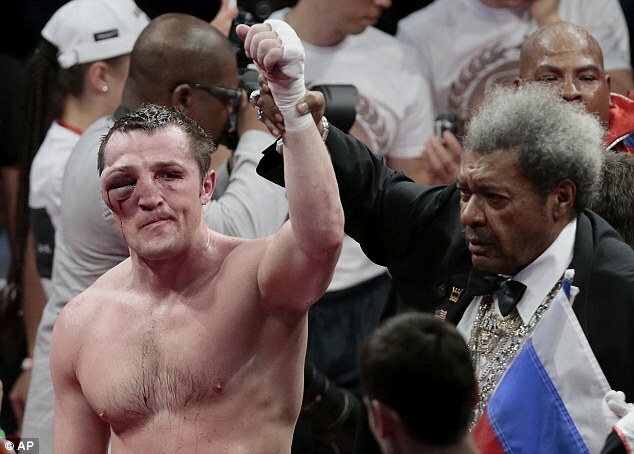 By the end of the bout, he could not see out of the injured eye but two judges had him winning 96-94 while the third had scored the bout 97-93. 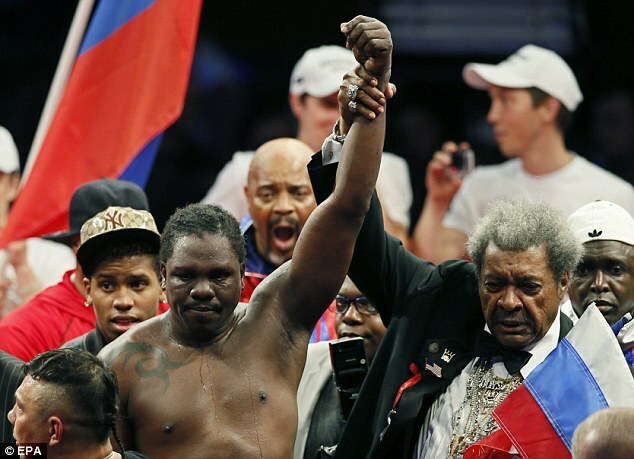 Panamanian Jones, who is promoted by Don King, improved his record to 39-3 with two draws and 31 knockouts after his first bout since stopping Michael Marrone in November 2011. 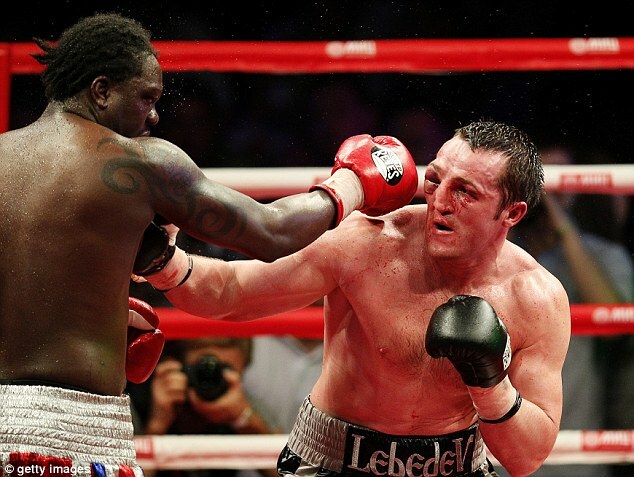 It was the first loss for Lebedev in five fights, since going down to Marco Huck in December 2010. The Russian dropped to 25-2 with 19 KOs. 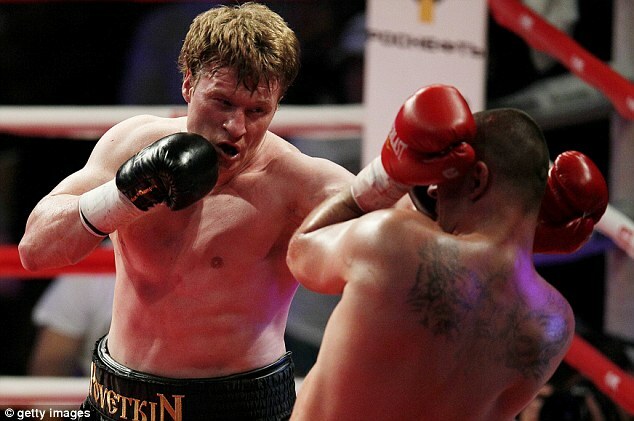 Also on the card, Alexander Povetkin retained his WBA heavyweight title with a third-round stoppage of Andrzej Wawrzyk. 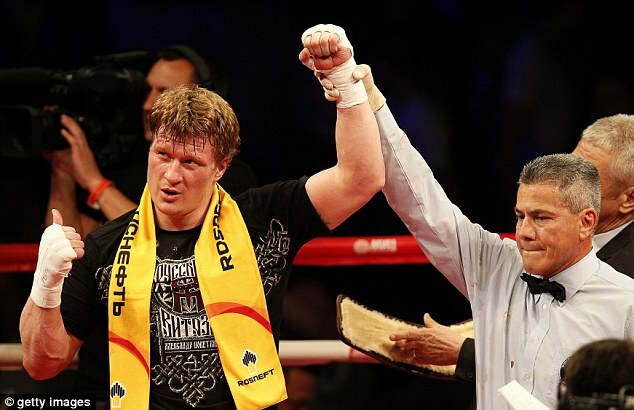 Povetkin sent Wawrzyk to the floor in the second round and again in the third before the fight was waved off by the referee with 32 seconds left in the round. Povetkin is due to fight IBF, WBA and WBO title holder Wladimir Klitschko in Moscow on October 5 after the purse bids were won with an extraordinary bid of $23million.